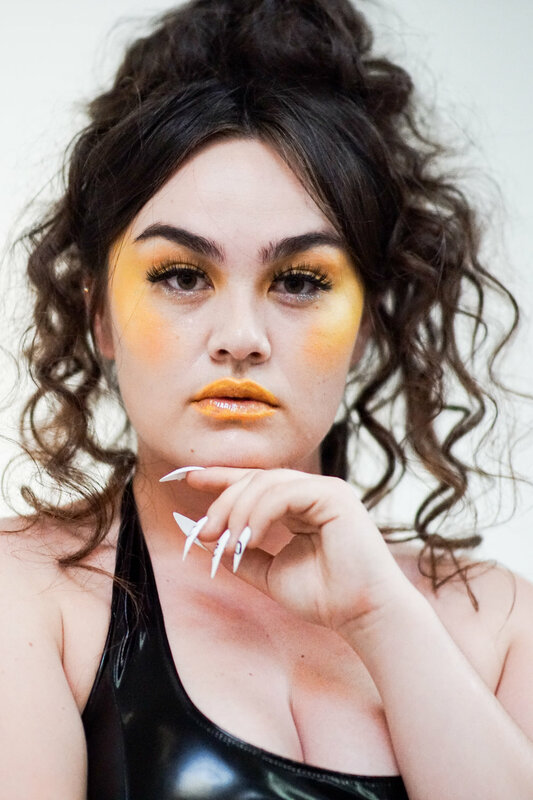 In a private exhibit in Downtown Los Angeles, produced by UnderPin PR, Grayscale presented a new collection dedicated to the “everyday bad chick;” a woman that is comfortable with her sexuality, concerned with chasing her goals and the center of attention wherever she is. She’s an influencer by any means necessary. 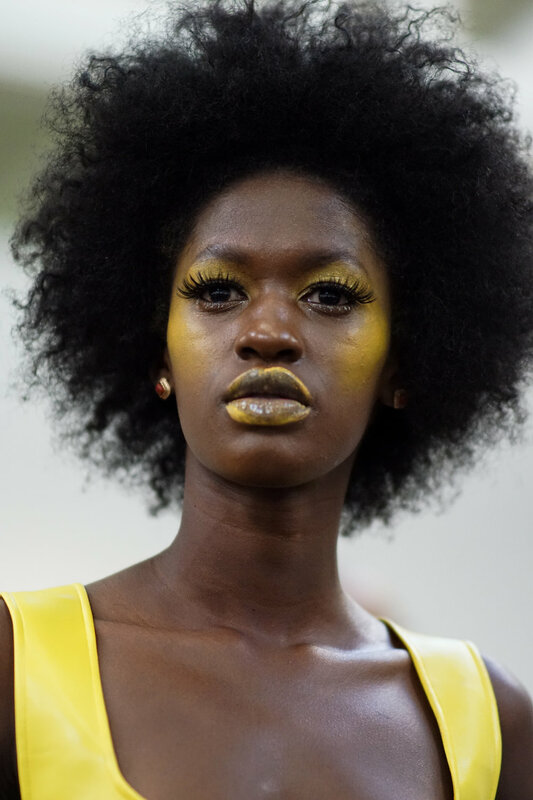 Adorned with yellow eyeshadow and sun kissed lips, models stood for attendees as living art pieces. 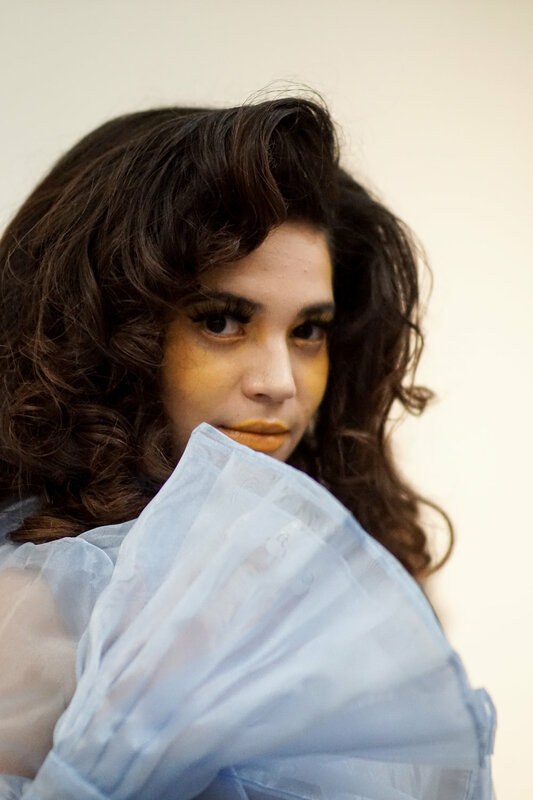 Stand out garments include the Denim and Vinyl Cage Dresses, a denim bikini set with a matching floor length vest and the crowds favorite of the night, a yellow coordinating vinyl set featuring a pair of layered panel pants. Grayscale is a womenswear label created by Houston born designer, Khala Jones. The label has taken Hollywood by store in record time and by the eyes of millions globally. 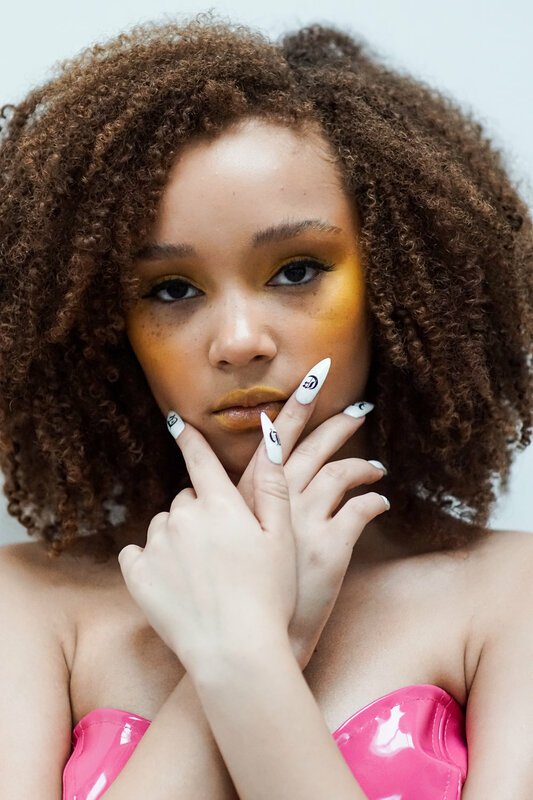 In a little less than 3 years , Grayscale has been seen on everyone from Cardi B to Ariana Grande and inside the pages of British Vogue and Elle. Stay up to speed with Grayscale by visiting their official website and following them on instagram. Hair provided by Luxelab using L’Oréal Professional and lead by Lauren Sill. Makeup Lead by Scott Osborne Jr. using Ben Nye Makeup. Styling by Kelsey Ashley. Shoes by Twelve Am. Nails by Safia of Lipstick Mixtapes using Essie. PR & Production by UnderpinPR.